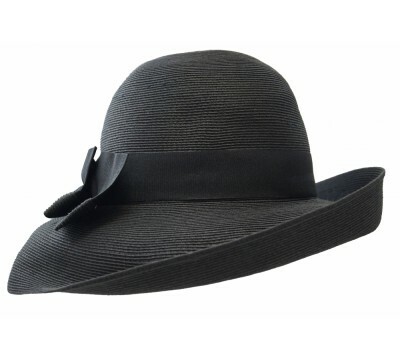 Bronté summer hat Tara is a true tribute to Audrey Hepburn in Breakfast at Tiffany’s. 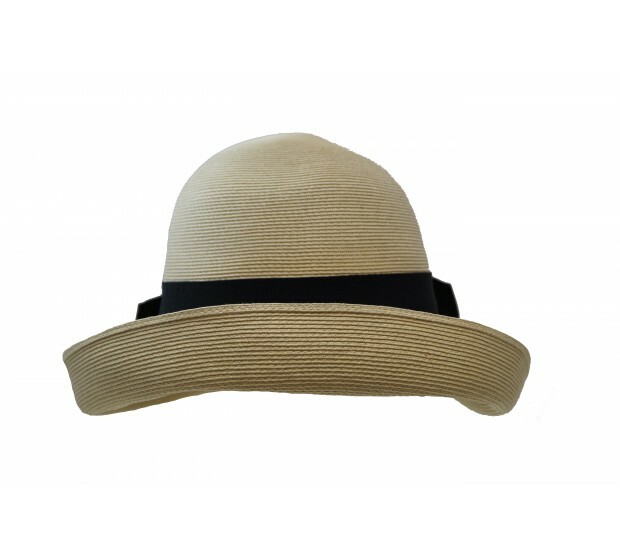 The brim provides full sun protection to face and points a charming focus on mouth and neck. 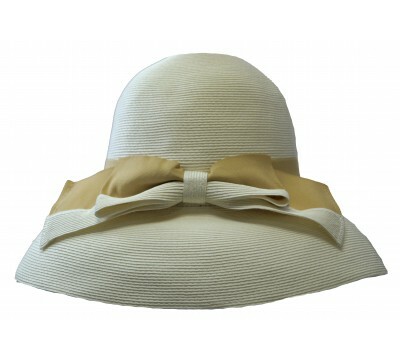 Tara is made of superfine braids of natural straw, and trimmed with a charming large bow, with a contrast ribbon. You can easily shape the brim into an upturn brim hat. Tara is equipped with an OSFA system. This Bronté hat comes with a lost & found label, to personalize your hat with your name and mobile number. Do not wear in the rain, as this hat is made of natural straw. 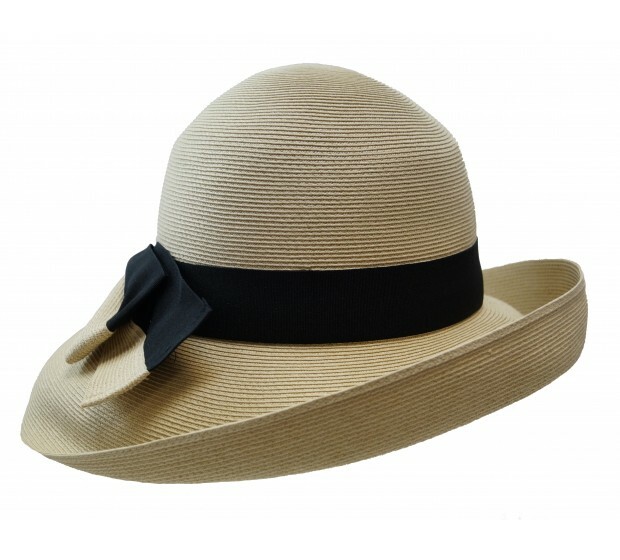 Brim width 10.5 cm.Do not wear in the rain, as this hat is made of natural straw. 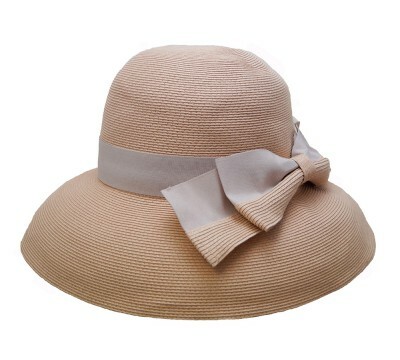 Tara - dusty pink The Bronté summer hat, Tara is a true tribute to Audrey Hepburn in ..
Tara - White/Beige The Bronté summer hat, Tara is a true tribute to Audrey Hepburn in..
Tara - Black The Bronté summer hat, Tara is a true tribute to Audrey Hepburn in ..